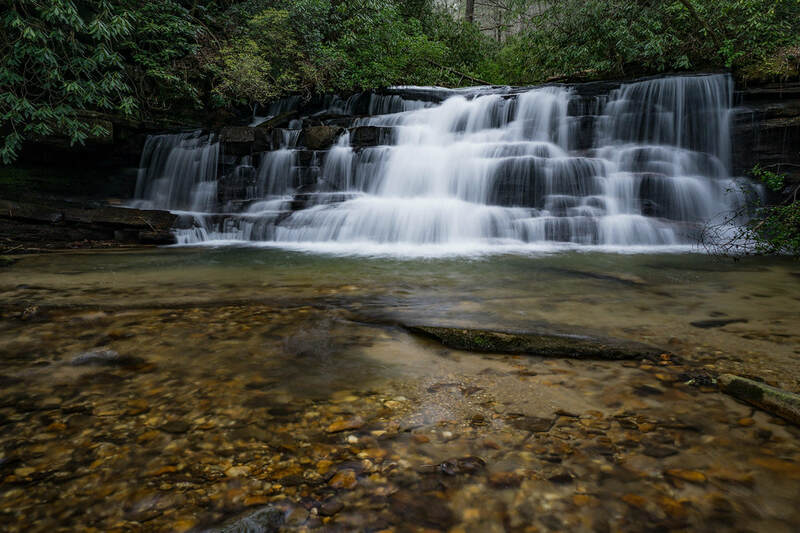 Waterfall Info: This small, scenic waterfall is the upper of three small waterfalls documented on Stonewall Creek. Access Info: The first part of the walk to this waterfall follows a gated forest road from FS 20 to Stonewall Falls. The waterfall is then accessed by a scramble path just off the Stonewall Bike Trail.